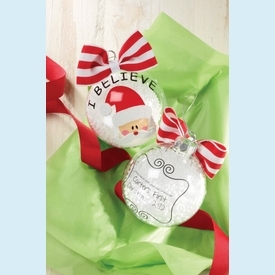 Glass ornament with "I Believe" decoration, striped grosgrain bow and white pom pom accent. 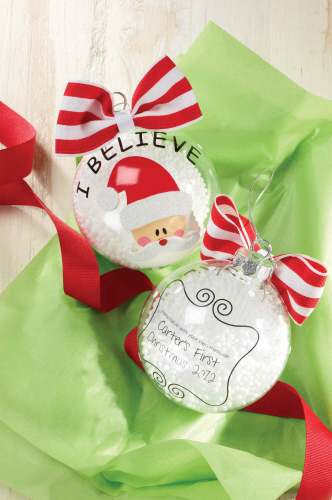 Back of ornament can be personalized (pen not included). 3.5" diam.